Flowers in art is an interesting subject though and perhaps one that we don’t often consider. It was once thought to be one of the lowest of the genres but within its history it contains other histories. 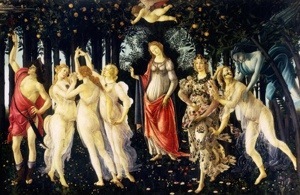 The rose for example symbolised the Virgin Mary and before that Venus and to this day it is a symbol of love. The 17th century Dutch paintings are “pure” examples of the genre and at that time flowers were a symbol of power. The Victorians used flowers decoratively. Early modernism with artists such as Van Gogh, Monet and O’keefe put flowers at centre stage giving them some grandeur. My next charity shop find is very modest by comparison. 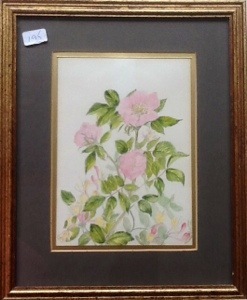 It is hand painted from an original drawing by Anne Richardson RCA and a product of the Warwick Studios. More than that I can only say that it is entitled Wild Rose and Honeysuckle and cost £1.95.